Just over an hour west of Scotland’s capital, Edinburgh, is the city of Glasgow. Explore this city’s unique blend of style and character at George Square, the center of it all. The Gallery of Modern Art is a five-minute walk southwest from here. Guarding the entrance to the gallery is the Duke of Wellington atop his trusty steed. Delve into the culture of this fun-loving city by joining the parade on Buchanan Street. Looming over the city’s north-east are the brooding spires of Glasgow Cathedral. On the hill behind the cathedral lies Glasgow Necropolis, a timeworn Victorian cemetery. Just a 20-minute drive from the city center is Bothwell Castle, a remnant of the past. Hampden Park is the national soccer stadium. This venue hosts regular matches, so try to catch a game while you’re here. Admire the city views at Queen’s Park and find yourself transported to a tropical oasis when you enter the display house and nursery. Overlooking the banks of the River Clyde are the Scottish Exhibition and Conference Centre and the SSE Hydro, the city’s most popular performance venues. Further west is the Titan at Clydebank. This 150-foot crane would once hoist engines and boilers into the bellies of vast trading ships. Take a trip out to the West End, whose streets are lined with cafés, bars and restaurants. From here, walk to the nearby Botanic Gardens, another of the city’s impeccably manicured green spaces. An attraction which exemplifies Glasgow’s fascinating blend of the earthy and the elaborate is the Kelvingrove Art Gallery and Museum. Founded in 1451, the University of Glasgow is one of the oldest, and most distinguished, learning institutions in the world. 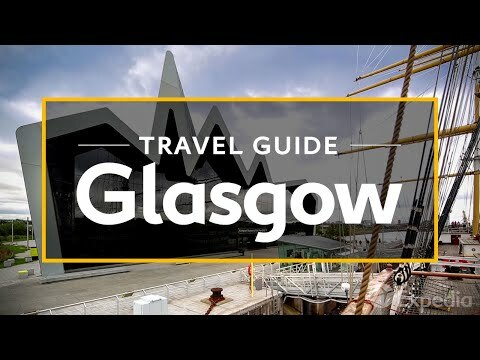 From its rich history to its irreverent character, Glasgow ties together elements from all walks of life.